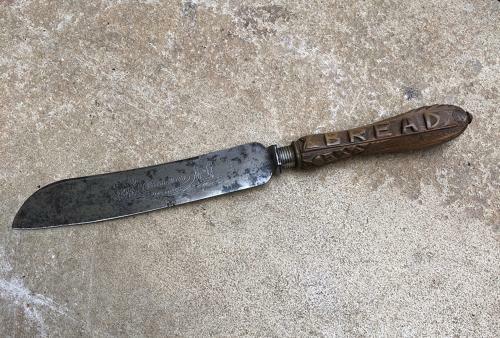 A really superb late Victorian bread knife. Lovely hand carved handle and an etched steel blade "BREAD KNIFE. PEACE & PLENTY" with a pictorial harvest scene.